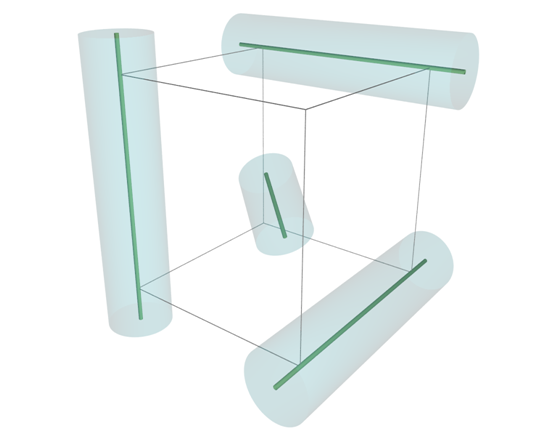 Electrical transport is a characteristic of polyelectrolytes and occurs via movement of both polyions and counterions, as well as the added salt ions. Simple conductometry addresses transport of the free charges and is able to provide answers on the charge of entities in well chosen systems (see ). 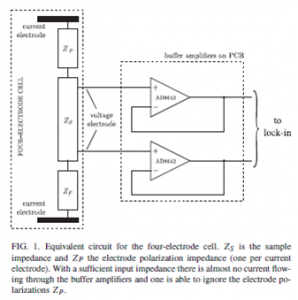 More information may be obtained by impedance or dielectric spectroscopy (see the publication list at Research). 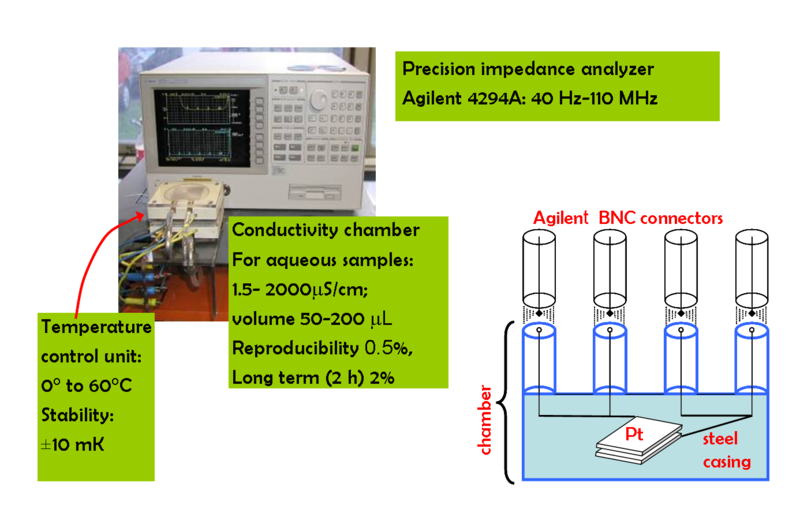 Impedance spectroscopy techniques that we employ investigate relaxation processes in polyelectrolytes across the frequency range from mHz to MHz. The characteristic relaxation times of those processes are converted into length scales that characterize polyion conformations or the polyelectrolyte solution structure. We employ 2-contact technique – a measurement chamber is a capacitor, the sample is placed between the capacitor plates and impedance spectrum (mainly due to polarization in the sample) is measured and converted into the dielectric one. The electrode polarization effects limit this technique to kHz-MHz range. 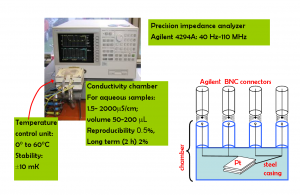 We use this setup also for conductometry, as it utilizes a minimum amount of the sample. 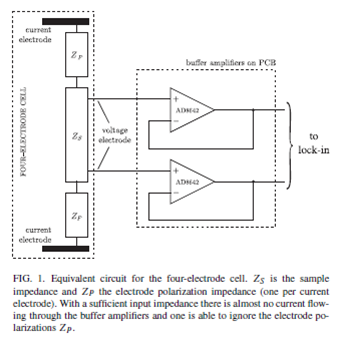 Measurements are taken at 0.1 MHz where electrode polarization and high frequency parasitic effects are all negligible. S. Marion from IFZ has, along with his colleague, D. Pelc from University of Zagreb developed a 4-contact technique (see ). This type of impedance spectroscopy is not affected by polarization at the electrodes and covers the lower mHz-kHz range.